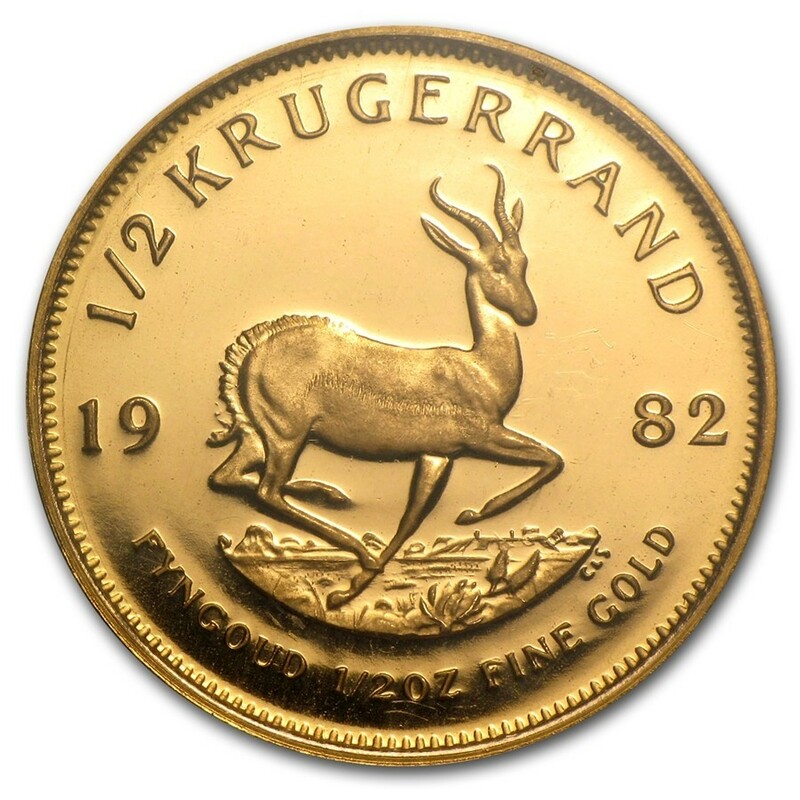 During the 1970s gold bull market, the South African Krugerrand was one of the best gold coins you could invest in. The first one troy ounce gold bullion coins were manufactured in 1968 and quickly became popular. This makes the Krugerrand one of the most recognizable gold coins around the world. Krugerrands are highly liquid and have high brand recognition. Contains 1/2 oz of gold. Legal tender currency of South Africa. Enjoys a low premium compared to other fractional gold bullion coins. Potential use in an economic emergency: inscriptions state origin, purity, and weight, and is made from a durable 90% gold alloy. Many investors rightfully ask, why should they buy a half troy ounce coin over a one ounce coin? There are two clear answers. The first answer is that smaller coins give investors more control over how much gold they may want to sell at any one time. This is really useful if the gold price is sky high: selling off a whole ounce would yield more cash than you might need. Also, a tenth ounce coin allows you to buy and sell your gold in smaller, more manageable chunks. The second answer is found among investors who are buying gold in case of a banking emergency. Basically, these gold coins' small size and purity (22k or 91.66%) means they are durable and more affordable. So in the event of a national banking holiday or currency crisis, this group of investors believe these coins could serve as a sort of emergency cash. Whether this outlook holds any credence or not is up to the individual investor, but that is one of the primary reasons people purchase this particular coin and other fractional gold coins and rounds. South African gold Krugerrand coins are no nonsense bullion coins. They derive almost all their value from gold’s global fluctuating spot price. No fluff or weird quirks to remember with this coin. Additionally, Krugerrand gold bullion coins are all 22k gold (91.66% purity) and have major brand recognition all over the globe. South African Krugerrand coins are still the most common modern gold coins in circulation, accounting for a good chunk of all gold bullion coins produced since 1970. 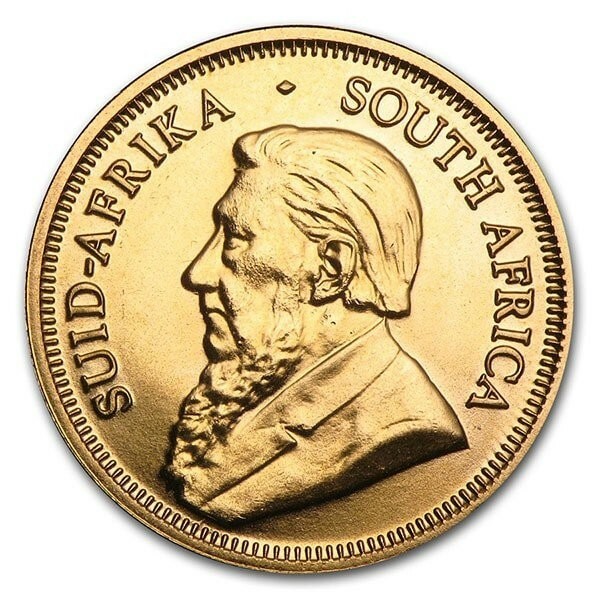 The Krugerrand derives its name from Paul Kruger, the President of the South African Republic from 1883 to 1902. From 1970 to 1979 only the 1 oz coin was made, but since 1980, three other sizes (1/4 oz, 1 oz, and 1/10 oz) have been introduced. There are over 60 million Krugerrand coins in existence today. All orders from Monument Metals are discretely shipped, fully insured, and the products guaranteed as described. Best Prices On Gold Krugerrands!